Between August and October of last year, eight Twitter users were detained by the Venezuelan intelligence service (SEBIN). To this day, five remain jailed in the Helicoide. Four have plead guilty to minor charges in exchange for lesser sentences and were pressured to change their defense lawyers (from NGO Foro Penal) for public defenders. But how did the state find them?! A just published report by website Runrun.Es offers details about these detentions and specially the role played by a State agency that, technically, deals only with technical issues like licensing: the National Telecommunications Commission (better known as CONATEL). CONATEL handed off all the info to SEBIN and this report is the main foundation of the Public Ministry’s accusations. None of those actions resemble what is described in the communications authority’s mission, vision and values. But this is only an evolution of what that the State has been doing since last year’s protests and CONATEL has been involved in other kinds of cyber-warfare since late 2013. And not always they get the results they expect to achieve. Meanwhile, the central government is also working on developing alternative social networks (through CENDITEL, its digital research and development arm), under the name of Red Patria (Homeland Network). 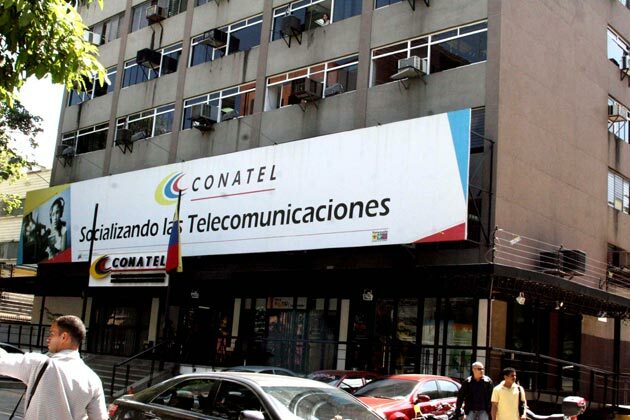 Last May, CONATEL announced the launch of Red Patria’s second phase, which includes its own local versions of Facebook, Twitter and WhatsApp. CENDITEL officials admitted that Red Patria is also used for “social intelligence”, with the goal of “…defeating the aspirations of sectors that want to destabilize the country…”. All this from the government that offered asylum to Edward Snowden and uses Wikileaks to accuse its opponents.